The Chinese multinational technology major, Lenovo, has launched two new devices, K5 and K5 Play for its home market in the medium range bracket. The smartphones follow the launch of Lenovo S5 unveiled earlier last week. S5 was company’s first smartphone with thin bezel design and the twin new devices also incorporate the same feature. K5 comes for RMB 899 (approx. Rs 9,000) while K5 Play is the cheaper version amongst the two priced at RMB 699 (around Rs 7,000). As for the specifications, K5 and K5 Play both feature identical 5.7-inch LCD display with an aspect ratio of 18:9. While K5 comes powered by a MediaTek MT6750 SoC clocked at 1.5GHz; K5 Play uses Qualcomm’s Snapdragon 430 SoC. On offer for Lenovo K5 are 3 GB RAM and 32GB of built-in storage supporting an expandable storage via microSD card slot. K5 further runs on ZUI 3.1 Lite based on Android Nougat. The ZUI earlier powered company’s Z- series. On camera front, K5 incorporates two rear cameras- 13 MP F/2.0 + 5 MP F/2.2 , with an 8 MP front sensor(F/2.0 aperture) for selfies. There is a provision for a fingerprint scanner on the back and the whole setup is powered by a battery capacity of 3,000 mAh. Meanwhile K5 Play, comes in two storage models: 2 GB RAM variant with 16 GB storage and 3 GB RAM model with 32 GB storage. There is microSD storage supporting expandable memory. Though the device is the cheaper version, it boasts of ZUI 3.7, based on newer Android Oreo, not found on regular Lenovo K5. 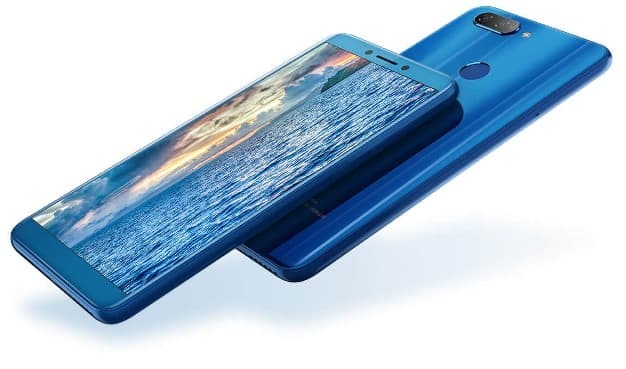 Dual rear camera setup on its back includes a 13-megapixel and 2-megapixel image sensor with an 8-megapixel shooter on the front for selfies. Lenovo K5 would be offered in Gray, Black, Blue variants while K5 Play would come in Black, Blue and Gold options. Both the devices are available for pre-order in Chinese market and are likely to arrive by April 10 (K5), April 17 (K5 Play).